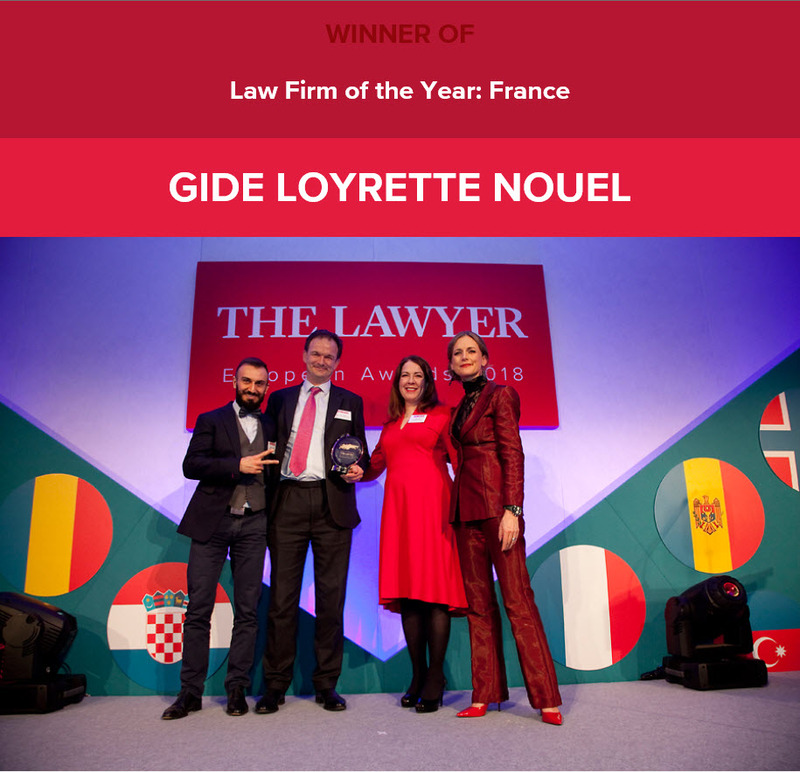 Gide has been named 'Law Firm of the Year: France' at The Lawyer European Awards 2018. Recognised as the benchmark of excellence in the European legal sector, The Lawyer European Awards took place on Thursday 15 March at The Grange Tower Bridge Hotel. The 2018 judging panel, composed of leading international companies and law firms, highlighted that: "With a string of high-profile public company transactions, Gide had a particularly strong deals year in 2017 which, coupled with ongoing internal modernisation of its processes, leaves the firm in robust shape for the coming years. Always one of the most expansionist of French firms, Gide became the first international law firm to obtain a licence to open a branch office in Tehran and practise under its own name in Iran; further international investments are planned in Cairo. Internally, the firm is taking gender diversity seriously with a target of 30 per cent female partners by 2025." "We are very honoured to receive this prestigious award recognizing Gide's leading position in France. We would like to congratulate our teams for their remarkable work and expertise", stated Gide Senior and Managing Partners, Xavier de Kergommeaux and Stéphane Puel. Gide London partners Rupert Reece and Dimitrios Logizidis attended the ceremony.